Introduction to portlets included in eXo Platform, and their details (packaging, portlet class name, available preferences and sample configurations). 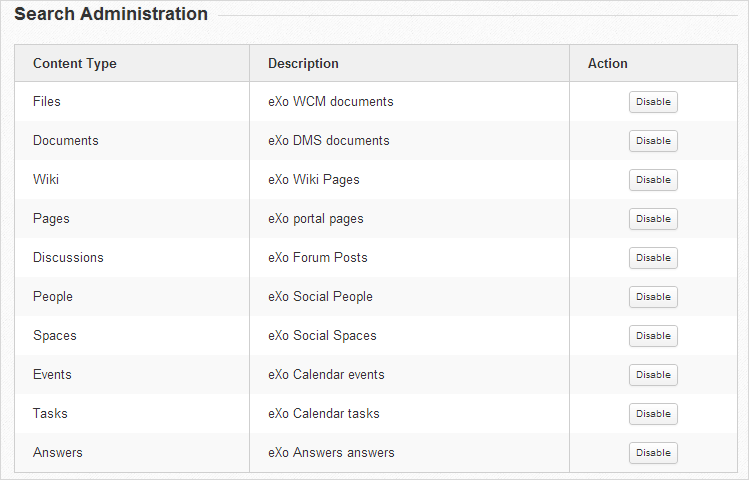 Details of all gadgets used in eXo Platform, such as links to used REST services, preferences, and more. These applications are packaged as Web application archives (WARs). Also, you can specify each portlet and gadget package and its available preferences that allow you to extend the configuration choices for standard preferences. This section introduces you to a list of portlets used in applications of eXo Platform, and their details, such as packaging, portlet class name, available preferences and sample configurations. All Social portlets are packaged in social-portlet.war file. Members Enables users to search for Space members or lists space members in the alphabetical order. My Spaces Displays the spaces that user is member or manager. Space Activity Stream Shares spaces activities. Invitations Lists all people that invite users. Requests Lists all invitations requested by users. Invitation Spaces Displays the spaces that user is invited. Pending Spaces Displays the requests to join spaces page. Public Spaces Displays the Public Spaces page. User Activity Stream Updates and shares the user’s activities and/or status. People Displays the People page. Connections Displays the Connections page. Profile Displays the User profile page. Connections Navigation Displays all connections of a user. All Spaces Displays the list of all spaces in the system. Space Access Manages the accessing-space permission of users. Network Displays the relationship information of the current user. Home Space Displays the the space homepage. Space Menu Displays the space menu to applications. Space Setting Displays the Space Setting page. People Directory Displays the page to search for people. All People Displays the page that shows all people in the system. This section introduces you to a list of portlets included in Content, and their details (packaging, portlet class name, available preferences and sample configurations). Also, you can specify the package of each portlet and its available preferences that allow you to extend the configuration choices for standard preferences defined in portlet.xml. The Content Detail portlet allows users to view the detail of a specific content. Packaging: This portlet is packaged in the presentation.war file. workspace String collaboration The workspace where content is stored. nodeIdentifier String N/A The UUID or the path of content that you want to show. ShowTitle Boolean true Shows the content title on the top of the portlet. ShowDate Boolean false Shows the content date on the top of the portlet. 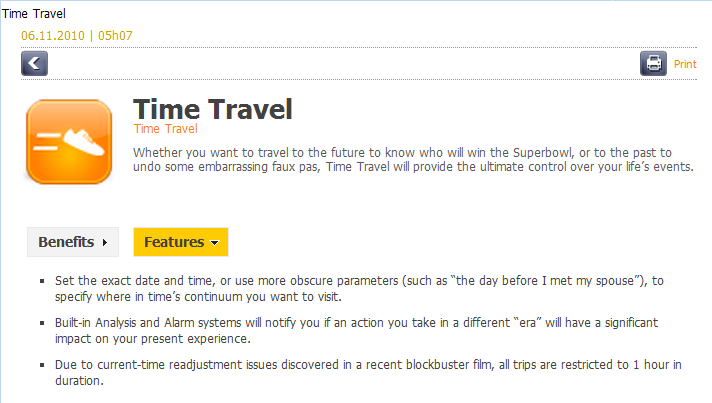 ShowOptionBar Boolean false Shows the content date on the top of the portlet. ContextEnable Boolean false Defines if the portlet will use the parameter on URL as the path to content to display or not. ParameterName String content-id Defines which parameter will be used to get the content’s path. PrintParameterName String content-id Defines which parameter will be used to get the content’s path to print. PrintPage String printviewer The print preview page. basePath String basePath Shows the page in which the full content is displayed when the content title is clicked. 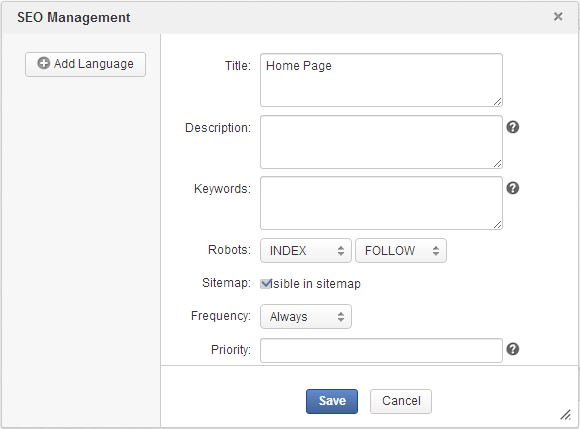 showScvWith String content-id The parameter name which shows the content path in URL when the content title is clicked. sharedCache Boolean true Defines if the portlet will use the cache shared between users to display content. If you want the content to be displayed in CLV to be got from one cache, set the value to true. In most cases, you should not set sharedCache to false as it reduces the overall performance. See Content Visibility. The Content List portlet shows a list of contents which already exist in the system. mode String AutoViewerMode The mode for displaying content of the portlet: all contents in a specific folder or all specific contents in the portlet. folderPath String N/A The path to the folder whose contents are displayed by this portlet. orderBy String publication:liveDate The property by which all the contents in the portlet are sorted. orderType String DESC The type of the content sort method: ascending or descending. header String N/A The header of the portlet which is displayed at the top of the portlet. automaticDetection Boolean true This value indicates whether the header of the portlet is selected to be the title of the folder given in the folderPath parameter (true value) or the value given in the header parameter above. formViewTemplatePath String N/A The value is set to “empty” by default and can be replaced with the path to the template which is used to display this portlet content. paginatorTemplatePath String /exo:ecm/views/templates/content-list-viewer/paginators/DefaultPaginator.gtmpl The path to the paginator used to display the contents in this portlet. itemsPerPage Integer 10 The number of contents displayed in every “page” of the portlet. showThumbnailsView Boolean true This value indicates whether the content image in this portlet is shown or not. showTitle Boolean true This value indicates whether the content title in this portlet is shown or not. showHeader Boolean true This value indicates whether the content header in this portlet is shown or not. showRefreshButton Boolean false This value indicates whether the Refresh button is shown in this portlet or not. showDateCreated Boolean true This value indicates whether the content created date in this portlet is shown or not. showReadmore Boolean true This value indicates whether the Read more button is shown in every content of the portlet or not. After clicking this button, the user can read the whole text of the content. showSummary Boolean true This value indicates whether the content summary in this portlet is shown or not. showLink Boolean true If this value is true, the header of every content is also the link to view this content fully. If the value is false, the header is considered as a simple text. showRssLink Boolean true Shows the RSS link of this portlet. basePath String detail Shows the page in which the full content is displayed when the user clicks to the Read more button. contextualFolder String contextualDisable Enables/Disables the contextual mode of the portlet. If enabled, the portlet can take the folder path indicated in the URL to display contents. showScvWith String content-id The parameter name which shows the folder path in URL when the content title is clicked. showClvBy String folder-id The parameter name which shows the folder path in URL. application String ContentList The application name. sharedCache Boolean true Defines if the portlet will use the cache shared between users to display content. If you want the content displayed in SCV to be got from one cache, set the value to true. In most cases, you should not set sharedCache to false as it reduces the overall performance. See Content Visibility. 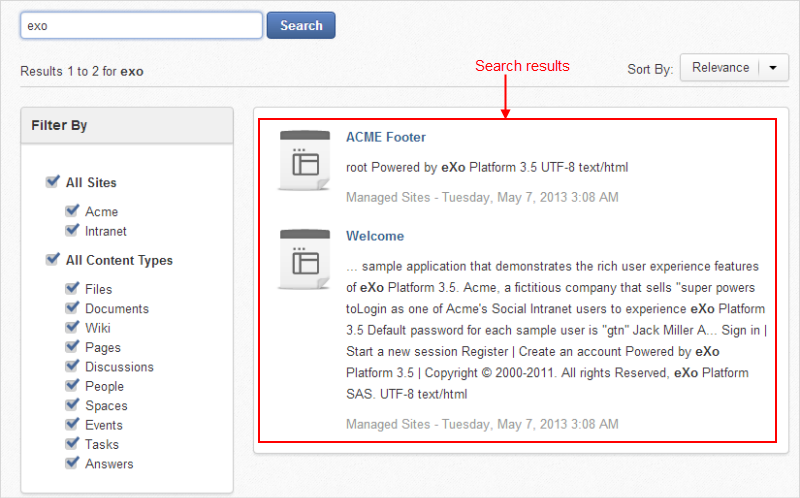 The Search portlet allows users to do a search with any string. In Content, there are three types of search: quick search, advanced search, and search with saved queries. Packaging: This portlet is packaged in the searches.war file. repository string repository The place where data are stored and maintained. workspace string collaboration The workspace where the content is stored. The path to the search form template. The path to the search result template. The path to the search paginator template. The path to the search page template. itemsPerPage Integer 5 The number of items for each page. showQuickEditButton boolean true Shows or hides the quick edit icon. pageMode String more The way to list search results. basePath string detail The page which is used to display the search result. detailParameterName String content-id Defines which parameter will be used to get the content’s path. The Sites Explorer portlet is used to manage all documents in different drives. With this portlet, users can do many different actions depending on their roles, such as adding/deleting a category and a document, showing/hiding a node, managing publication, and more. Packaging: The portlet is packaged in the ecmexplorer.war file. categoryMandatoryWhenFileUpload boolean false Forces a user to add a category when uploading or creating a document. uploadFileSizeLimitMB float 150 The maximum size of a file that is uploaded to the system (MB). usecase string selection The behavior to access Sites Explorer. By default, the “selection” option is configured. Besides “selection”, there are four other ways to configure the Sites Explorer: Jailed, Personal, Social, Parameterize. driveName string Personal Documents The name of drive which the user wants to access. trashHomeNodePath string /Trash The location to store the deleted nodes. trashWorkspace string collaboration The name of the workspace where stores the deleted nodes. editInNewWindow boolean false Allows editing documents with or without a window popup. showTopBar boolean true Allows showing the Top bar or not. showActionBar boolean true Allows showing the Action bar or not. showSideBar boolean true Allows showing the Side bar or not. showFilterBar boolean true Allows showing the Filter bar or not. The ECM Admin portlet is used to manage the main Content functions, including templates, explorer, repository, and advanced functions. Packaging: This portlet is packaged in the ecmadmin.war file. The Fast Content Creator portlet consists of two modes: Standard Content Creator and Basic Content Creator. This portlet allows users to quickly create contents without accessing the Sites Explorer portlet. By default, this portlet is applied for the Contact Us portlet in Content. Packaging: This portlet is packaged in the fastcontentcreator.war file. mode string basic The default mode of the Fast Content Creator portlet. path string /Groups/platform/users/Documents The destination path where the content is stored. type string nt:file The node type of document which is shown on the dialog form. saveButton string Save The custom button: Save. saveMessage string This node has been saved successfully The custom message when the user clicks the Save button. isRedirect boolean false Specifies whether redirecting to another page or not. redirectPath string http://www.google.com.vn The path to which the page will redirect. isActionNeeded boolean true Specifies whether an action is needed to save to the configuration or not. 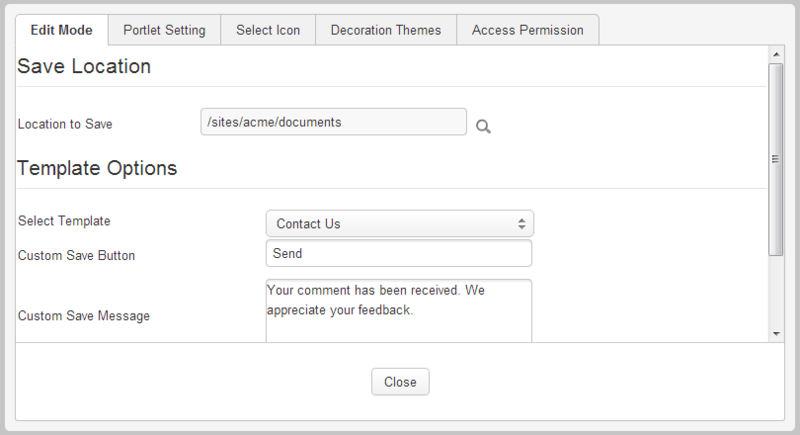 The Authoring Dashboard portlet allows users to manage contents in draft and ones which need to be approved or published. Packaging: This portlet is packaged in the authoring-apps.war file. workspace String Collaboration Name of the workspace. drive String Collaboration Name of the drive. The SEO Toolbar portlet allows users to manage SEO data of web content and web pages, so they can maximize their website position on search engines. Packaging: This portlet is packaged in the seo.war file. The Wiki portlet provides users with the possibility to enhance their collaboration and share their work across the platform. With Wiki, they can add, modify, or delete its content by using a simplified markup language or a rich-text editor. This portlet is packaged in the wiki.war file. See the portlet.xml file in the project by following this path: /webapps/wiki/WEB-INF/portlet.xml. showBreadcrumb Boolean true Enables the Breadcrumb or not. The Breadcrumb is shown by default. showNavigationTree Boolean true Enables the left wiki page navigation or not. The navigation tree is shown by default. uploadFileSizeLimitMB Integer 10 Specifies the maximum file size (MB) to upload. Its default value is 10MB. The Calendar portlet shows the Calendar application with a lot of features provided to users. The Calendar portlet is packaged in the calendar.war file. To see the portlet in the project, follow this link. The Forum portlet is the application for users to post and read messages on different topics. This portlet is packaged in the forum.war file. See the portlet.xml file in the project at this path: forum/WEB-INF/portlet.xml. showForumActionBar true, false true This is the UIForumActionBar. If the value is set to “true”, the UIForumActionBar will be shown. If false, the UIForumActionBar will be hidden. forumNewPost day number 1 Specifies if a post is new. If the post is created within the set period, it is new in the Forum. enableIPLogging true, false true Enables the IP logging function in the Forum. IP addresses of all posts will be collected. enableIPFiltering true, false true Enables the IP filter function in Forum, enabling IP addresses to be blocked in the Forum. invisibleCategories id categories empty Hides some categories. If the value is set empty, all categories of the Forum will be shown. invisibleForums id forums empty Hides some Forums. All Forums will be shown if the value is set empty. uploadFileSizeLimitMB integer 20 Limits the size of uploaded files in MB in the Forum. isShowForumJump true, false true Specifies if the Forum jump panel is shown or not. isShowIconsLegend true, false true Specifies if the icon legends panel is shown or not. isShowModerators true, false true Specifies if the moderators panel is shown or not. isShowPoll true, false true Specifies if the poll panel is shown or not. isShowQuickReply true, false true Specifies if the quick reply panel is shown or not. isShowRules true, false true Specifies if the forum rules panel is shown or not. isShowStatistics true, false true Specifies if the statistics panel is shown or not. ForumPollEvent Sets the render for UIForumPollPortlet. ForumModerateEvent Sets the render for UIForumModeratorPortlet. ForumRuleEvent Sets the render for UIForumRulePortlet. QuickReplyEvent Sets the render for UIForumQuickReplyPortlet. ReLoadPortletEvent: This event is fired through UIForumPortlet. topicId string Id of topic. Returns the Id of topic for UIForumPortlet. isRenderPoll boolean true/false If the value is set to true or false, the UITopicPoll component is rendered or not respectively. ForumPollEvent: This event is fired through UIForumPollPortlet. isRenderPoll boolean True/false If the value is set to true or false, the UIForumPollPortlet portlet is rendered or not respectively. categoryId string Id of category Returns the Id of category for UIForumPollPortlet. forumId string Id of forum Returns the Id of forum for UIForumPollPortlet. topicId string Id of topic Returns the Id of topic for UIForumPollPortlet. ForumModerateEvent: This event is fired through UIForumModeratePortlet. isRenderModerator boolean True/false If the value is set to true or false, the UIForumModeratePortlet portlet is rendered or not respectively. moderator list of strings List of user name Sets data for UIForumModeratePortlet. ForumRuleEvent: This event is fired through UIForumRulePortlet. isRenderRule boolean True/false If the value is set to true or false, the UIForumRulePortlet portlet is rendered or not respectively. infoRules list of strings The list of states: can create topic, can add post and topic has lock. Sets permissions for users in UIForumRulePortlet. QuickReplyEvent: This event is fired through UIQuickReplyPortlet. isRenderQuickReply boolean True/false If the value is set to true or false, the UIQuickReplyPortlet portlet is rendered or not respectively. isModerator boolean True/false Specifies if the user is moderator of forum containing the topic with quick reply or not. categoryId string Id of category Returns the Id of category for UIQuickReplyPortlet. forumId string Id of forum Returns the Id of forum for UIQuickReplyPortlet. topicId string Id of topic Returns the Id of topic for UIQuickReplyPortlet. The Answers portlet is the application to create answers, reply and manage questions. This portlet is packaged in the faq.war file. See the portlet.xml file in the project following this path: /webapps/faq/WEB-INF/portlet.xml. enableViewAvatar true, false true Enables users to view the avatar of owner posting the question. enableAutomaticRSS true, false true Enables users to get RSS automatically. enableVotes AndComments true, false true Enables users to give votes and comments for the question. enableAnonymous SubmitQuestion true, false true Enables anonymous users to submit questions. display approved, both both Enables administrators to view unapproved questions in the questions list in UIQuestions. SendMailAdd NewQuestion string empty Displays the content of sent email when a new question is added. SendMailEdit ResponseQuestion string empty Displays the email content when a response is edited. emailMoveQuestion string empty Displays the email content when a question is moved. orderBy alphabet, created alphabet Arranges questions in the alphabet or created date order. orderType asc, desc asc Displays questions in the ascending or descending order. isDiscussForum true, false false Enables the DiscussQuestions function. idNameCategoryForum CategoryName, ForumName empty Selects categories and forums for the DiscussionQuestions function. uploadFileSizeLimitMB integer 20 Sets the maximum size of uploaded files in MB. The Poll portlet is the application for users to vote any ideas, or activities. This portlet is packaged in the `` poll.war`` file. See the portlet.xml file in the project following this path: poll/WEB-INF/portlet.xml. pollIdShow string empty The Id of poll which is displayed in the Polls portlet. eXo Platform provides with the Unified Search feature which allows users to search for any types of content stored in the content repository. The Quick Search portlet which allows users to quickly search for content from the top navigation bar. The Unified Search portlet which allows users to search for content with their desired filters. The Search Administration portlet which allows administrating the unified search engine. These portlets are packaged in the unified-search.war file. Note that the two last preferences are not set in the portlet.xml file, but still have default values as indicated. Besides, all the above preferences are at global scope. That is, if any administrator changes any search setting of these portlets, either at runtime or via custom extension, the new setting will be applied for all users and available sites. This section provides the knowledge, such as links to used REST services, preferences, and more about gadgets used in eXo Platform. All Social gadgets are packaged in the opensocial.war file. Social RSS Reader N/A Fetches, parses and displays RSS from a specific URL. There are 2 preference fields: URL input box (default value is http://blog.exoplatform.org/feed/) and Number of RSS per page selector (default value is 10). My Connections N/A Gets and displays information of the current viewer and his connections. The number of connections displayed per page. It is set to ‘5’ by default. Eventslist lists the maximum number of upcoming events, that is configurable by users. For example, they can set the preference list to 5 or 10 events. url Link to the Calendar portlet. Subscribeurl Link to the upcoming events. limit The maximum number of upcoming events. timeformat The time format for upcoming events. For more details on the preferences of gadgets, see here. Taskslist lists the maximum number of upcoming tasks that is configurable by users. For example, they can set the preference list to 5 or 10 tasks. Accordingly, setting collects all the configuration of upcoming tasks and add some more functions to help developers change the configuration of the default skin. eXo Platform provides the Last Post gadget which enables users to see a list of the latest posts in Forum. The number of the latest posts depends on the configuration setup of the gadget. lastpost forum-gadgets.war The list of the latest posts in the Forum application. maxcount The number of posts which are displayed in the gadget. eXo Platform provides a gadget which enables users to see a poll. The Poll gadget is developed on the combination of Gadget by GateIn and Polls Service. The Poll gadget allows users to apply functions of Polls, such as viewing and voting Polls. pollslist poll.war The list of Polls. pollId The Id of Polls which is displayed in the Polls gadget.